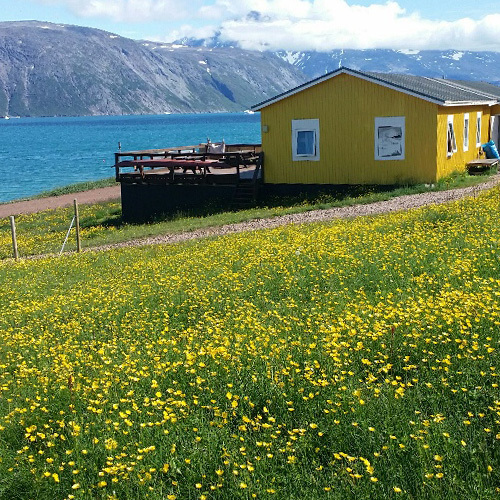 Your adventure spot in South Greenland! 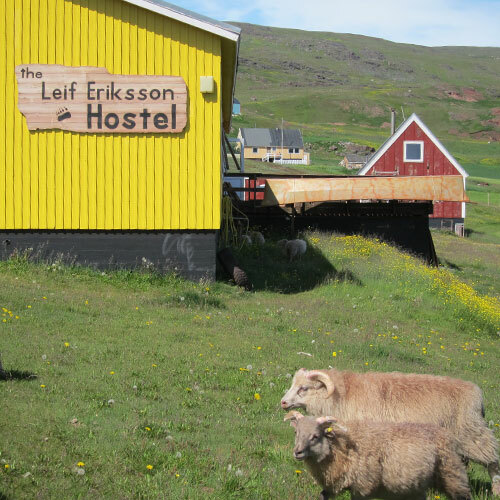 Right on the centre of Qassiarsuk, close to the harbour and the supermarket, and just below the statue of Leif Eriksson, is located the Leif Eriksson Hostel, a charming place where you can relax a have a drink sitting in a big wooden balcony with stunning views of mountains and icebergs. Composed of ten rooms (7 doubles and three community), has a shared bathroom, kitchen and living room connected to the terrace. Night in own sleeping bag or rented. WiFi and phone signal available! 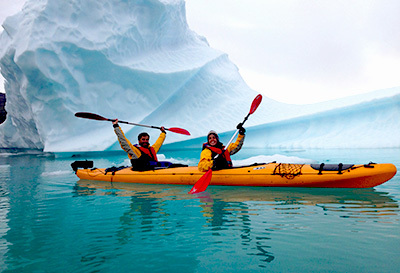 Kayaking, Hiking, Northern Lights, Biking, Glacier Camps.... Join us on an immersion journey to the unexplored secrets of Greenland! 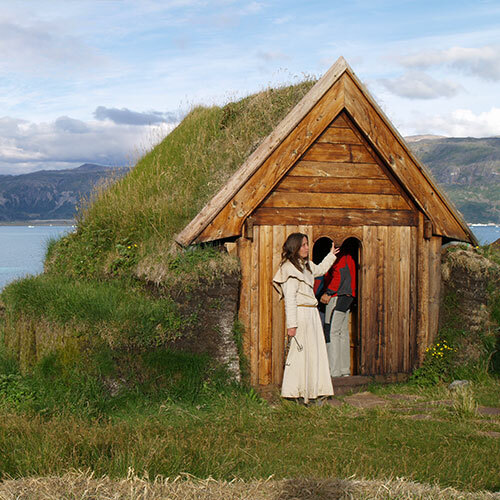 Explore the breathtaking landscapes of South Greenland, learn more about the arrival of Eric the Red to Greenland and visit Inuit and viking reconstructions. 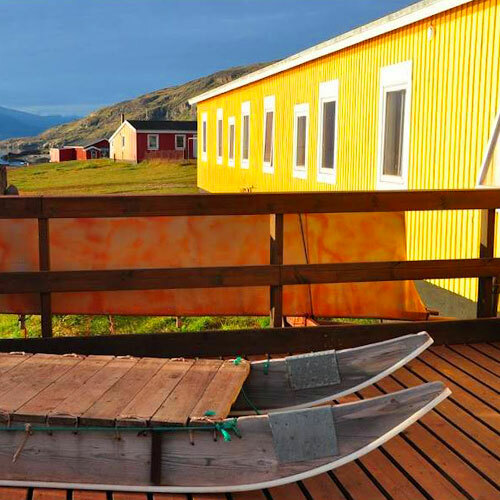 Three more options for your pleasant staying in South Greenland. Warm and comfortable hostels with spacious living room, kitchen and shared shower. 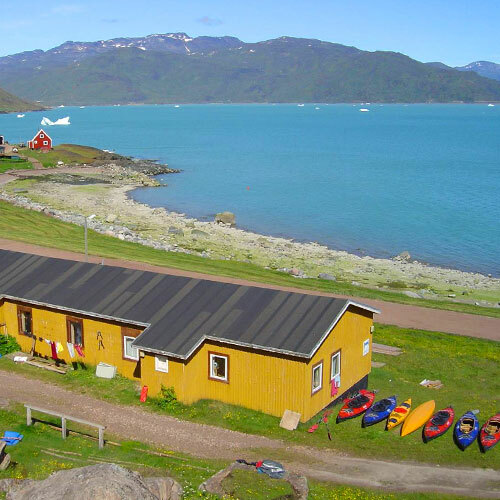 Qassiarsuk, the village of Erik The Red and Leif Eriksson, is located just 3 kilometers in front of the Narsarsuaq airport, the gateway to South Greenland. Enjoy, relax and have a quiet holiday. 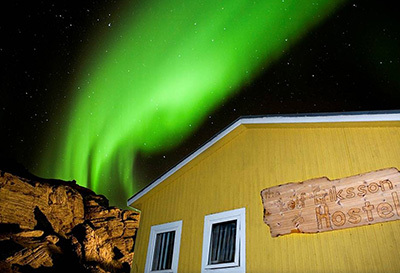 Make your basecamp in the Leif Eriksson Hostel and make daily adventure excursions to explore Greenland! FACEBOOK FRIENDS · JOIN Us! 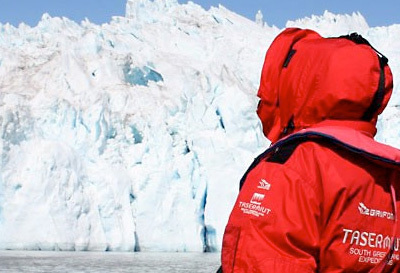 "In July 2014 I was part of a Sea Kayaking tour through the south-west fjords of Greenland... 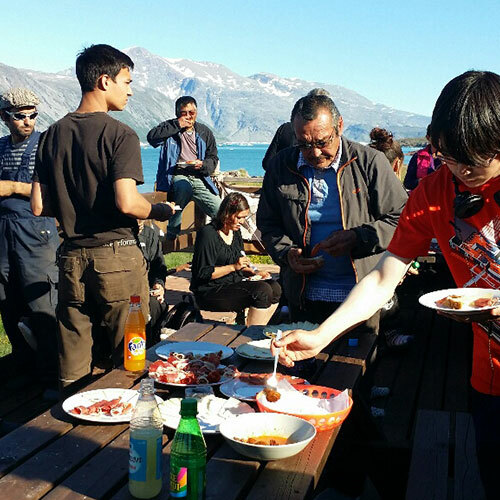 The trip was a perfect mixture of kayaking and trekking and gave us the chance to explore the unique arctic world"
“I found the expedition and being a small group fantastic. The area and fjords that we had all to ourselves, gave us many options to change our route from day to day not having to stick to a fixed route. I would do the trip again at any time, if there weren’t so many other places I also want to experience. I will be returning to Greenland soon. I hope you will have a fantastic season this summer with lots of happy visitors."